Thank you, Linda. That’s a kind thing to say. I sincerely hope the community of readers remains intact. Best of luck! Thank you for keeping us informed. OUR LOVE AND PRAYERS ARE WITH YOU. WE WISH YOU THE BEST AS YOU JOURNEY ON TO FURTHER YOUR DESTINY. THANK YOU FOR YOUR BLOGS. I am looking for that! Thanks for invaluable source of important information. Take care and all the best!!! I already miss TEP. Roger that Alexander. It’s always good to be missed. thank you for all; we will miss you. There is so much going on in the world. Quite frankly, it can be a bit overwhelming at times. Prep and prepare for the difficult days ahead and always keep that beacon shinning. Thank you for all your work, and thank you for leaving it available. I’m grateful for you and you’re welcome. I want to express my sincerest love, appreciation, gratitude, and respect for you … which I must say is truly immeasurable. Thank you. I only wish I could meet all of you. You will be missed. I always looked forward to the information you so willingly researched and shared. Thank you and hope your retirement is a great adventure. All the best to you and thanks for your warmth, generosity, and kindness. Really sad to see you go, but it must take a lot of time to do and eventually we do retire or just need a change. Going to miss you, take care and god bless. Oh man. I’m sorry to see you go. We’ve had a good run these past few years, and I greatly appreciate all of the fine reporting you gave us. I wish you well. I will miss all the information you gave me when other places neglected to report. I appreciate you and your contributions. So sorry to see you go. I have enjoyed immensely your informative site over the years. Thank you so much for all the time you have put in to keeping up with what has gone on in the world. God bless you in your newest adventures. What ever will we do for this type of news? Is there some way that some one will continue this reporting? If someone is interesting, drop me a line. However, it quite time-consuming. Add 4 hours a day on top of any work hours you already have and you get the picture. Thanks for kicking the tires, Pete. I’m looking into some other things where that may be a possibility. We live in challenging times. I might add because of recent scandals in broadcast news, the rules of journalism are constantly changing and evolving in this digital age. At present, and unfortunately, most of these rules are not for the better. News will likely be more source restrictive in the future. As the public tries to navigate in these new choppy waters, finding what’s genuinely authentic anymore is going to be more challenging. We’ll miss you and the timely articles you so dilligently presented to your audience. Thank you, Thank you, Thank you. Thank you for all the time and energy you have put into this blog that allows us to share our hopes, views, dreams, information, experiences and even fears.. I know how much work goes into this as I also have a blog through WordPress and its a full time job. Enjoy your retirement and relax in my grandmothers words, sit down, have a cup of tea and scratch your head and remember to put your feet up.. Blessings and thank you again. Thanks, Charking. Yes, running multiple blogs, working full time & writing only leaves a few waking hours a day, if that. Not good, where am I going to find down to earth information. Thank you for all your articles, very helpful information. God bless you. will miss you much Alvin… you have no idea what its meant for me to briefly have been a part of the online settlement you created and community you facilitated. THANK YOU. i continue to work my way through Extinction Protocol and Sparkle, and find much wisdom and knowlege to ponder in both. particularly Sparkle, which in my own darkened days has been a lifeline reminding me of that HOPE we share of Creator’s great love for HIS Creation. Thank you for offering the gentle witness, i cannot be the only reader so blessed. May HIS Blessings permeate the remainder of your journey, like sun through misting rains… may all your days retain that Sparkle of which you wrote. May your eventual passage be only in HIS Right Time, and be HE so willing, may we meet again one day in HIS undarkened lands. one more gift of a link from me to you… this vision was first gifted to a Cherokee prophet about 30 years ago. i was a blissfully oblivious teen when he first wrote these words, now i feel about as old and tired as mud. his words are true. i wish the leaders of the world had listened long ago, but has it ever been the way of conquerors to listen to the little people? Thank you. Being part Cherokee myself, I will value the words as I do your own. Thank you for the kind words, warmth, and friendship. there is no one like you. i dont know what to do without this site. you have been a comfort and the voice of reason to people who feel very alone. What are we to do without you? Love,Sorrow, but wish you peace + the best of all things always. And you can stay in touch on Twitter if you have it. I have gotten so much from your blog… you will be sincerely missed. Thank You for all you’ve done. Thank you for your kindness and the warm sentiments. Been missing your posts and figured something must be going on. Glad to know you are still alive am sorry you will no longer be blogging. What a blessing you have been. No doubt you have a God given gift to bringing the on-going events together and into perspective. May God richly bless you and keep you and your family in His care. See you in Heaven Alvin. Your friend in Christ. Thank you, Jenn. You’ve been a light along the pathway. Thank you for your support, love, and friendship. Very kind of you to say Alvin. My pleasure. Feeling very blessed! Alvin, you will be so missed. Your blog has been a bright and reassuring light in my life; and I am forever grateful for all of your time, intelligent insights, and true kindness. Your gift will carry on through all of us. You brought together an amazing community of people I would have never known to exist. May the rest of your life bring you joy and peace. I will never forget your gift. Much love and blessings to you and all the wonderful people who came to this site. It is a wonderful community of people. Like being in a floral shop. We will try at best to keep that. Thank you, Shari. You have been a light, a column of support and an endearing friend over the years. I AM ALSO OF MIXED BLOOD AND CHEROKEE. IRISH, CHEROKEE INDIAN, AND POLISH. Wow, that’s a wonderful combination. Is it possible that you can post a picture of yourself. Very interesting mix of blood you have. I DO NOT HAVE A RECENT PHOTO, BUT SHALL BE WORKING ON ONE. Oh bummer! We shall miss you! Thanks for all you have done and wishing you the very best! Thank you, Out of Mind for your presence and participation over the years. I will miss your blogs and the conversations we have had, and have had with other commenters here, but sometimes it is time to move on. Yes there is a lot going on in this world and sometimes it can become overwhelming. We need to step back and focus on where our faith is. I have learned a lot from your blog and I value the time I have spent on here. I will keep the notifications for this blog open so if you ever want to drop us a line to let us know how you’re doing or what projects you’re working on, I’m sure we will still be here to read them. And no matter how much this world crumbles around us, I will be ready. I have my Saviour to guide me. Many prayers to you Alvin and God Bless. I am saddened to hear of your departure from the extinction protocol. Lets hope you arent leaving because you know we are about to sit on the abyss of extinction. If so, so be it. Id rather leave too, that be in our world at the moment. crazy, mixed-up little planet (that is graced with mercy)- so I have to be more than efficient with the time that has been afforded me. If you’re on Twitter, you can still stay in touch or on my author FB page. However, I will never be far away from hearts so dear as yours. Thank you so much for your work and your Light. May your path be a bright, beautiful, and abundant one! Thank you for shining on it, Stargazer. A person’s only real wealth is the precious people in his or her life who really care about them. After 2012 was a bust and nothing happened I think there was a bit of momentum lost.. Also if there was really going to be an extinction would they let you tell us? Maybe it’s time to start saving now for retirement.. Thanks for all the updates and if you get wind of anything serious please let us know. Thenk you for all your time and energy. I never believed in setting dates. However, I’ve never prepped more for the future than I do now. Save for retirement — plan for all eventualities. I will event post. Thank you for participating. Grace and peace to you in the name of our Lord Jesus Christ. I pray He covers you in the shadow of his hand. These have been dark days, and you are a light. Thank you, my friend. Thank you, Niebo. Your insight, wisdom, and scholarly work will reverberate through time and in my mind always. I both salute and thank you for being a beacon and a friend. It has been both a pleasure and an honor, sir; I am sad but also happy and want grace and blessings to pour over you until your cup spills and makes your whereabouts a sopping mess; perhaps, when we are no longer mortal “on this crazy mixed-up planet”, we will all be immortal in a place that makes more sense, where the foundations are not rattling apart, and, well, maybe we will all find ourselves in one place at one time, not in heart and spirit but in BEING. Thank you for being a voice that, in spite of the sometimes dark truths that have been “discussed” here, has enlightened some us that we are not “mere misfits” because we are misfits (Dennis E and me, for example [haha]), but because this planet (this WORLD) is changing without us, on a scale and at a velocity to which none may adapt; cultural savagery confronts cultural civility; humanity encroaches upon nature, and nature encroaches back; per the cycles of geologic time, we approach/transition towards another epoch, and whether IT (the grand schema) leads to renewal, to rebirth, or to a void . . . it is clear that, if it ever was, this place is not HOME anymore. My heart and spirit knew already, brother. More than any human being on earth, YOU have, with these truths, the real, sometimes cold, sometimes ugly facts, helped to enlighten my intellect as well. And God bless you for it. Words of wisdom…I needed something pensive and meditative today and you’ve provided the fodder. Thank you, friend. Btw, funny joke and here’s a parting brainteaser. Haha. Technically, I am . . . for assuming that “the man, woman, and child” are “husband, wife, and daughter”. That said, the child is. Were the woman the enemy, she would not admit it. If the woman said, “She is your enemy,” she would be referring to the child. 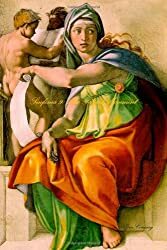 If the child simply repeated what the woman said, ‘She said, “She is your enemy.” She would be inferring back to the woman. However, the father said the child was lying. We also do not know for certain if this took place in a foreign country. The narrator simply said, “In a foreign country, there are two types of people. Friendlies who always speak the truth and enemies who always lie, even under interrogation.” Nevertheless, it seems obvious the child cannot be trusted. When I assumed that the man, woman, and child were husband, wife, and daughter, I was almost derailed from reaching this conclusion. BUT, nowhere are “they” described as such, as a family, which caused me to rethink my logic and work backward in order to . . . deduce. The problem is cleverly stated; misdirection (by the biases/prejudices of the hearer, not to mention the nuances of semantics) is, of course, the intent. Reminds me of the current onslaught of propaganda from the, er, “media”. I think the problem is not that “they” lie with audacity (which they do on occasion) but with a consistent subtlety that allows their, er, “adherents” to lead themselves astray. While quiet facts MAY counter loud falsehoods, gentle misdirection, mixed with prejudice, normalcy bias, and misplaced trust (implicit complicity??) is, apparently, nigh impossible to contradict or to hush, much less to silence. But, then, you know what I mean. Thank you. For everything. And, well, I suppose I should “part” now, but I have one last request: if you have not, please check Utopia; I read this editorial there first and posted my initial response there first (and copied it here). But there is something else that I would appreciate you taking a look at. You will understand, I hope. Perhaps you have already, and, if so, then, well, you understand already. It may not be a prizewinner, but it is a positive contribution to the din. If you need anything . . . you have my digits. Cheers! Thanks for the outstanding insight into this thing we call our daily lives. Peace! Thanks for all your efforts, Joel. An always interesting blog and one of my personal favourites – I shall miss it. All the very best for the future. I going to miss you. Thank-you for leaving your work up and available. Best wishes. Thank you for all the great post. You have been such an important part of my life. Thank you, Roger. What a kind and thoughtful thing to write. The feeling is mutual. Dear Editor, just to say I am sad to hear that you are retiring, as I felt the EP provided a wonderful support to those intereted in what is happening on the planet. I think it is a pity particularly as our humanity is fast approaching that point where we will , all being well, underdtand who created us. With this imminent Antarctic revelation we will obtain an impotant piece of evidence as to the great Flood and towards understanding our origins. If I am correct in my analysis, then the truth as to why the Flood occurred may be strangeer than science fiction. I feel that our humanity is not far off being hopefully ‘ born’ or othrwise ‘stillborn’. Kind regards Michael p.s would be good if you could reconsider retiring? We are on the eve of some important events. The world is changing faster than most of us realize. The crucible moment which will define all human history is about to reveal itself. I may consider it. Yes, that’s quite possible, Mikael. Per tornare al punto in cui mi trovo, devo prima andare dove non sono stato. Thank you for all your hard work, I know there’s a ton of things going on in the world right now and a lot of it is so uncertain, uncomfortable at most times. Thank you for sharing your insight, your compassion to help/ inform others who were open to receive the messages. Take care of yourself and those you love. I am hopeful, and it’s the one thing that we have to hold on to. Thanks, Shelley. Thanks for your presence and insight over the years. Thank you for great news that I always had shared. Thank you for the season of your life that you shared with us. Thank you for the time and labor that you put in to bring us ‘true’ news in a time of ‘fake’ and sensational reporting. Be blessed and stay near the Cross. It has been a pleasure reading all your hard work and research. May God bless you on your future endeavors. Thank you, Kathryn. I’m grateful you found the blog. Will miss you Alvin and the cyber community that has formed here. Will miss the blogging of the contributors, seem almost like family with a few squabbles at times. Your blog sites are the best on the internet that I’ve encountered and your comment that you will retain and maintain the sites is a wonderful idea and that you have continued to prep and perhaps to increase is a prudent move. It appears that The Battle for Jerusalem has begun and our world is about to change in a bad way. Thank you, Dennis. Yes, we have the best community no doubt. Thank you for your friendship, insights, and kindness over the years. Yes, the Vatican has gotten very involved in the process, which is turning up the heat on Israel, especially in light of the recently passed UN mandates. Please don’t quit. You are still breathing, and we, who pay attention, need you!! We cannot trust the media to be either completely truthful or to let us even know what is happening. Thank you for everything you have done and I am going to pray that you are afforded a way to reconsider and do what you are gifted at doing. I am moved by your words, Karin. My presence will not disappear completely. Hi Alvin! I know I am just one of thousands that have been praying for you and your family during these tumultuous days on Earth. Praying to be able to receive one of your blogs to be sure all is ok. and today that prayer is answered! THANK YOU for serving mankind with your relentless research into the workings of the natural world and politics. Your insights are beautifully written in your books and the enormous endeavor that you undertook to allow us to voice our research and opinions along with the writings in your blogs has been inspiring to me. Though we have never met I have always felt like we are friends. Please know that prayers will continually be sent your way for you and all your loved ones. May Jesus ALWAYS allow you to feel his presence in your heart and the Holy Spirit always eager to lead you to further righteousness. Thank you, Joe. The sentiment I convey is the same. Thank you for your friendship the wonderful insights you have contributed to both blogs over the years. I express my heartfelt thanks for your compassion and support. We will miss you & your quest for truth. Thank you so much for all the time you spent researching and broadcasting true news from all around the world. Truly your website was of a high excellence. I had no idea you considered yourself a ‘blogger’ or that there was only one of you, I had assumed such prolific work came from a team. God bless whatever you now turn your hand to, may your retirement be rich, rewarding and godly inspired. Thanks, Dawn for the support and the richness of your presence. It was wonderful talking to you. Thank you for everything…Bless you and hope you have peace in 2017. I am dismayed and I am very sorry for the recent information about the abandonment of literary activities in his blog that throughout these years has been subject of study, consultation and excellent material of opinion in these confused times. I suggest not to disassociate from the world of readers like myself, I advise to write from time to time because the number of events entangled from Trump’s rise in a sea of troubled political, social problems, and possibly the road to war, is when we need them all a moment Of reflection, orientation in turbulent times. We will miss you EP! Many of us kept up to date on the patterns and intensity of the earth activity via your posts. Thank you. — reader since approx 2010. As a person who pretty much always has more going than I should, I understand getting just plain tired, no matter how exciting the project is. God Bless you and go with our love. Although, we will miss you! Thank You for allowing us to know you are safe and simply haven’t disappeared. I understand the tiredness of time body and spirit. Will miss the blog and your wisdom. Considering the craziness of the world and journalism today, I don’t blame your desire to end it on a high note. I am not getting your posts on FB any more. Please make sure I do. Thanx. I’ll check into it, Mary. You will be missed!! Thank you for all of your insight!! Rather saddened and disappointed to hear this news. At the same time, I completely understand as the number of alarming and ominous events in the news have gotten out of hand. Far too many to keep track of in these past several months. It’s overwhelming to say the least just to read and take in as a reader, let alone gather and post them all daily (that has to be a daunting task!). All this appears to be leading up to one major (and frightening!) earth-changing event, rather than just a turbulent period in history that will merely pass. Seems if not from mankind, than from the planet itself. Been following the Extinction Protocol (and its recent sister site, Utopia) almost since it started. It’s been a real eye opener to the changes goings on, and where we are headed. I wish it could continue on but as I said, far too much for one person to manage. Interesting though how what was only reported about here (i.e. climate crash) is now becoming prominent on the mainstream news as things intensify. These events can no longer be ignored, they’re changing our daily lives. Nevertheless…thank you, Alvin! It’s been enlightening and interesting to say the least. I hope you consider at least doing an occasional radio-Podcast posted to YouTube. Just to hear your take and perspective on world events, particularly those that will be unfolding in 2017 under a Trump presidency. I really think this potentially puts the world in more peril than at any other point in recent/modern history. If anyone has an alternative site for world events (similar in style to Extinction Protocol and Utopia–straight forward as-is news that’s non-biased) please share it here. would you consider a few more late additions to the list? I always enjoyed looking at your interesting website. It was one of my go-to sites. I can believe it took that many hours out of your day. Time to do other things! Good luck and God Bless. Yes, countless days getting only 2 to 3 hours of sleep. However, thanks for the well-wishes. Thank you for all the information you provided through time. The Extinction Protocol was on my list of everyday posts to read. When your posts grew less frequent I thought you must be off checking out volcanoes … You provided us with so much information. God keep you and your loved ones well ! I will miss your blogs. God bless you. Loved your book and your blog. I am sure we will see you somewhere new soon – you still have your calling and don’t seem the type to let things go undone :-). God bless you and keep you – your words will always be in our hearts and minds. Thank you for the kind words. Glad you picked up the book…And yes, there’s tons of things left to do. You will be missed. I enjoyed reading your site every day. Sad to see your retirement in blogging Alvin but I understand how much effort goes into researching and writing unceasingly. Thank you for helping people like me come to an awakening. May YHWH bless your next endeavors richly. Thank you, my friend. I’m fortunate you graced my life. Noted, Futuret. Thanks for the link. The world is on the eve of stupendous change. And despite the numerous challenges ahead we all will face; each day brings us one step closer to a cosmic resolution. Rome (Vatican) will relocate to Jerusalem, against their will, although they own much property there and also the entire floor above David’s Tomb. Wow will miss it … it was nice reading the TRUTH. Whatever you will be doing may the Lord bless you in abundance and over flow with blessings daily. You already know how you,. your books, your beliefs (and most of all your trust), have influenced my perception of the world around us. I will miss you very much, but will equally miss the others who have taught me so much over the years. Thank you, Alvin, Niebo, Dennis E, and all the other people who have given me guidance. Thank you, my friend. I appreciate you. Thank you for all that you have done. You will be missed! The education is unending for all of us. Thanks for your richness. WOW! I know these posts are ending but I was 4 years old when this speech was given and I heard about the Military Industrial complex part before but there was so much more!!! Talking about the atheistic agenda and scientists becoming the elite group ruling over others and so much more. WOW! He was definitely talking about today. Thank you futuret! So sorry for us that you are retiring, but happy for you to follow your plans and dreams. I follow a man called Clif High who puts out the webbot report. Of late it has been scarily accurate. He says there is going to be some HUGE disclosures concerning Antarctica and the Earth’s past. He says it is going to shake up some of the world’s religions. I hope you will be available to study and comment. I have never read anything on your site that did not seem very well researched. I cannot say that about a lot of websites, even if I basically agree with them. You’re the best, Beverley. Yes, I will be around if anything dramatic happens. Thanks for your thoughtful words and kind sentiment. or should I say, retired for long…. All the years of enlightenment, what a labor of love for humankind. I was always eager to see what new information you had for us. Thanks Alvin, you will be sorely missed. I’m glad our lives was graced by your presence. Thank you for all your posts over the years , Alvin. We will miss you , your timely posts and useful insights. Stay blessed. All the best for the future Alvin. Can I be selfish and say “noooooooooo!”?! Thank you for for everything. It`s been a pleasure to read this blog for the past 6 years. Thank you for great effort you put into this blog. It was very entertaining, educating and thought-provoking journey. Thank you for all your great posts. I will miss you and your website. God bless you! Thanks for being vigilant; for your time and energy. You have my highest regards! I’ve always like this site so forgive me…. The thing I didnt like was MONTHS would go by with no new news. Yet asking people to “donate”. Maybe I missed a part of this site where it was all happening/going on. Thats just it.. I read people saying “EVERY DAY”… WHERE were they going? The Tweet “Nov”. Maybe the radio.. was ever day.. I never listen to it. The stories you did have were great. You had some that others were not reporting on. Loved that. So this is no bash.. or the like. Truth right? That was it… praise GOD glory to JESUS. For He is lord..came in the flesh.. died on the cross for the worlds sins. Was buried. Rose the 3rd day and is the only way to the Father. Honestly, if I depended on donations to maintain this site…I would never have even launched it. Thanks for all the blogs and thought provoking writing , we will miss you. I am in Brazil and I have been following your page for a long time. I am grateful to you for all the information you have provided. I’m sad about your retirement but I understand, it’s part of life. All the best to you and, again, grateful! Why do good things always have to end. 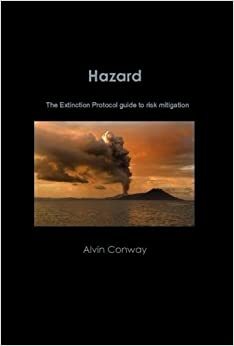 The Extinction Protocol became my link to news/details on earthquakes, volcanoes and other natural dangers/wonders. Enjoy your downtime. Archives are still valuable. It is NOT about ‘get ready stock essentials as end is approaching’ which I have often read here. It is about opening the heart to higher dimensions of love, acceptance and surrender. Golden age will be more to do with the mental transformation of mankind. Just seeing this, thank you from another devoted fan. God bless and keep you safe in these troubling times. The thing I appreciate most about your website, is I know that I am not alone in seeing the sign of the times. Crazy times we are living in. Get ready for unmitigated chaos. Thank you. Sending out the same. Feel free to drop a link if inspired. The show dedicated to The Extinction Protocol is live and archiving here: https://www.awdio.com/mind-mix-radio/pdej47mu3t-filk-tastic-2-26-2017 More listening links at http://mindmixradio.com We play news, talk, filk, gamer favorites, political irreverent, and various paradigm truth audio 24-7. We’re an experimental internet radio station showcasing broadcasting software from the Open Source community. Will miss you. I have been following your blog for years, and appreciate all the hard work and news. It’s very hard to find reliable sources of news that actually tells us exactly what is happening in the world, and yours was on top of my list. Best wishes and stay safe in this tumultuous world…it all shall pass, and there is a light at the end of the tunnel. I just saw this, and I want to thank you for enlightening me on so many current events that certainly don’t get enough publicity. I love your books and am so glad to have stumbled upon you quite by chance. God Bless you and may your own ‘protocol’ always be an equitable one! Thank you, Merle for the timely and pensive reflection. I shall give it admirable consideration and I extend my gratitude for sharing it.